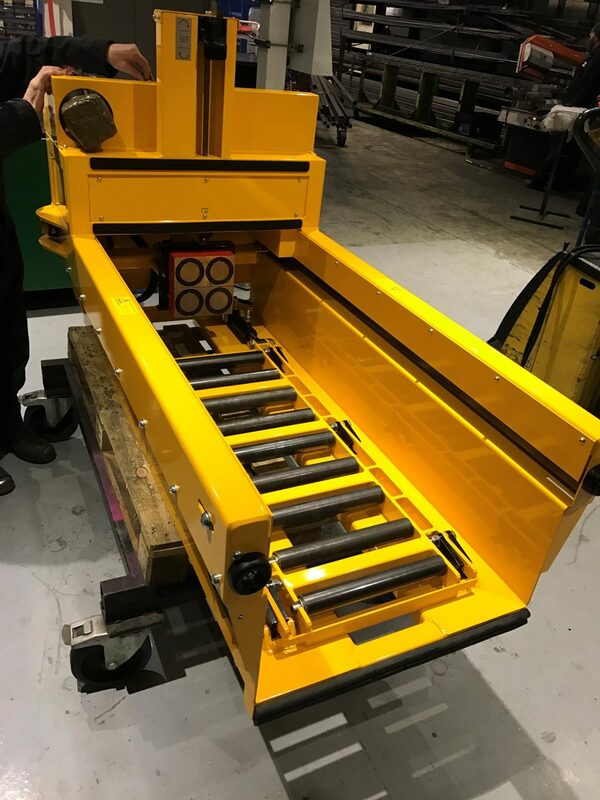 As part of an ongoing relationship with Hoppecke Batterien, Acres produce a number of bespoke fork-truck battery changing units to suit customer requirements. Our product has improved incrementally over the years giving our designers and fabricators a wealth of experience to tackle almost any request. 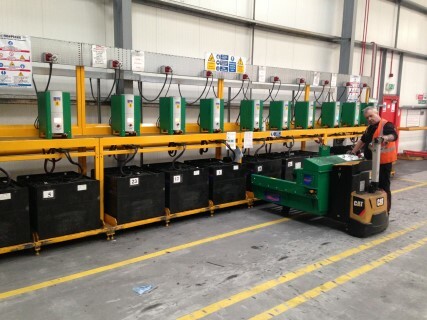 The Acres PU powered battery changing unit is fixed to a PPT (Powered Pallet Truck) providing a fast and efficient mobile battery changing solution for 24 hour warehouse operations. The PU is powered by a hydraulic power pack which, in partnership with a pair of powerful magnets exchanges batteries between fork trucks and battery charging racks. The Dual Height design provides increased lift range enabling one unit to work effectively on sites where multiple battery sizes and multiple fork lift trucks are used. Acres are currently exporting custom machines to Germany, France, Belgium, Spain, Poland, Holland, Slovakia, Abu Dhabi, Dubai, South Africa and China as well as serving the UK. For more information about the Hoppecke battery changing unit see: The trak® Xchange PU.